My nephew Aamen and niece Adi are apples of our eyes and Mangoes of our Hearts. I know this sentence sounds cheesy but that is the only way to describe their almighty status in our family. Our routine days as well as vacations are planned carefully according to their school days, holidays and preferences. 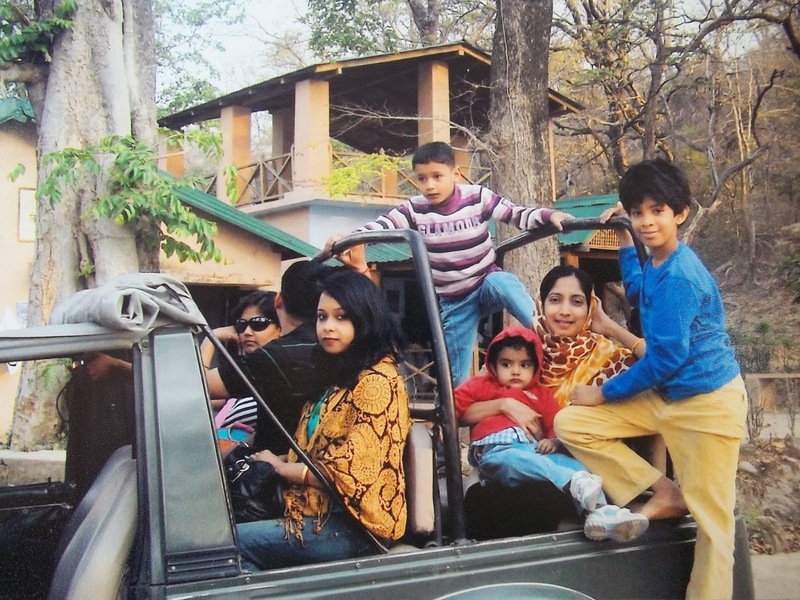 Earlier when Aamen was a baby, we had to choose our vacation destination near Mumbai, so that we could return home fast and easily ,in case of emergency. The resort had to be plush, clean, catering nutritious food and well connected to Mumbai. We didn't pay much attention to the entertainment facilities such as dance-floor, game zone, cycling , karaoke, swimming pool , boating , sports , adventure activities etc. Now , that Aamen has grown up to be a dashing , sporty teenager,our priorities have changed dramatically. Aamen dictates the destination , the specific resorts to enjoy our vacations. He listens to his friends' vacation-stories, browses through their facebook snaps, googles the picnic-spots and gives his full proof verdict. We the parents double check his choice-destination on google plus we talk to the parents of Aamen's friends for first hand information. That's how we finalize our mission-vacation. Aamen loves sports , adventure activities, singing , dancing , swimming , cycling , rappelling , Safari , amusement parks , water rides , sketching , painting , playing musical instruments , board games etc. Children have fountain of high energy which needs numerous avenues to express themselves. They love to explore . They hate to sit in one place , just being idle. Serenity, meditation is not their idea of vacationing. We the parents must not force our likes and dislikes on the lively, energetic children. Let's give them the freedom to choose, select their own recreation and rejuvenation ideas. I know , I know , by now all of you must be cursing me, "Enough of Aamen-puran , what about Adi ? What's her choice ? Do you folks care for her or not ? Well, the truth is Adi's most favorite vacation activity is SHOPPING , just like her Aai and mawshi. Adi has always been a model -Tai ( elder sister ) .She prefers Aamen's company more than anything else. She has grown up to be a graceful lady with melodious voice and a classical ( BharatNatyam ) dancer. Aamen and Adi, singing and dancing together is an exquisite feast for eyes and ears. Here Adi steals the show with her excellent singing / dancing talent. Aamen is master-mimic. We firmly believe that these kids can set any stage on FIRE. They have tremendous potential to set up a full-fledged orchestra. 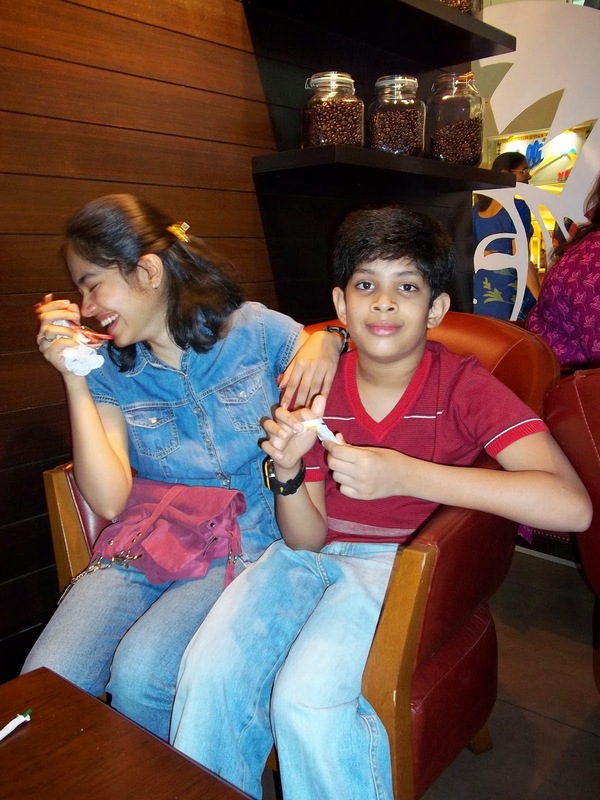 Aamen and Adi both have healthy appetite and like all Mumbai-kids they crave for chatpataa food. WE ensure that the food is delicious as well as nutritious, cause we want them to be happy and energetic while vacationing. In the vacations we gain abundant fun and frolic, while children learn practical things like camping, sharing, adjusting to the surroundings , which mold their personalities .